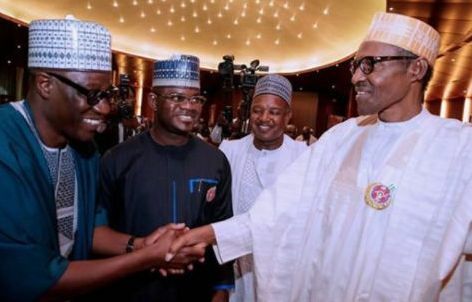 Governors under the umbrella of Nigeria Governors Forum, have denied media report that President Buhari has given them matching order to pay workers salary arrears before Christmas. There was a discordant tune between the Chairman of APC Governors Forum and governor of Imo State, Rochas Okorocha and Governor Nasir El-Rufai of Kaduna State on whether President Buhari ordered that salary arrears should be paid before Christmas. While Okorocha said the order from the President was to clear the salaries with the expected payment of 50 percent Paris Club balance, El-Rufai said the Paris Club refund was not enough to clear salary arrears especially for states that were owing as there was no additional money to be given to such states apart from their fair share of the refund. It explained that “The governors had appealed to the president to once again authorize the Finance ministry and the other officials to hasten the payment of the remainder of the Paris and London Club loan refunds as they had factored the monies into their 2018 budgets. “President Muhammadu Buhari’s instruction that the money be paid before Christmas however draws its background from the series of delays in the previous disbursements to the states by the Finance Ministry, which by commission or omission had exacerbated and indeed increased the number of months that workers are owed salaries. “For example, the first bailout that President Buhari approved was not paid until October, four months after the president had given approval for the money to be paid. It was the same practice with the first tranche of the Paris-London Club repayment, which was approved in mid 2016 but took until December 2016 to hit the states’ accounts. “It is imperative to add that the Paris–London funds were legitimate funds of the states and not loans as several sources had thought. The governors pledged to work assiduously towards ensuring that they make workers happy by paying their emoluments before the commencement of the Yuletide season. They hinged their pledge on the instruction by President Buhari that governors should be paid what was due to their states to ensure that workers spend Christmas with money in their pockets and a smile on their faces.